Yes, there are 24 GPS satellites orbiting around the planet in six Earth-centered orbits. And they are there to tell you where you are at the push of a few buttons. The helpful sentinels can guide you to your destination every step of the way. But, does this mean that the humble compass and map is out of the picture? Not quite. Even though technology makes navigation easy, there is a certain charm to doing it the old-fashioned way. 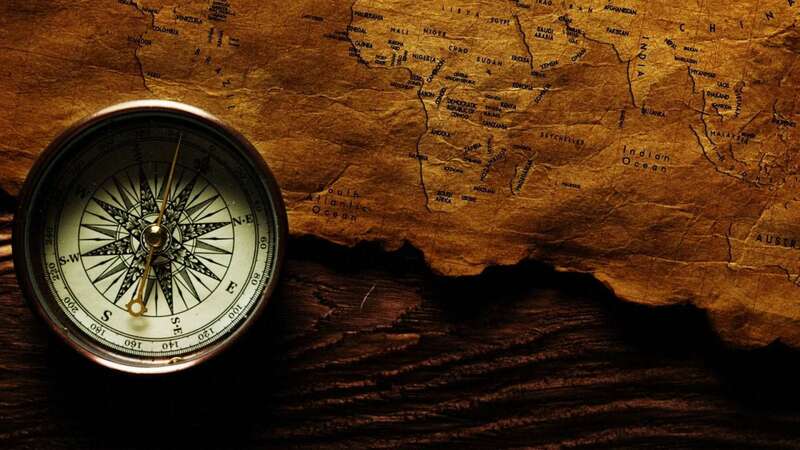 Using a map and a compass to plot and follow your course allows you to connect with the adventurous spirit of pioneering explorers of yester years. Add a Kershaw knife – and some useful knife skills — to the mix, and you’re going to have a fantastic time exploring the outdoors. Offline navigation systems also let you go off the grid. After all, one of the reasons people go on outdoor hikes and tricks is to escape the busyness of the digital era. For a layman, the compass is a simple device that points to the North. But, in the hands of an explorer, the compass is much more than that. It is the key to a realm of surprises and adventure. That is why knowing how to navigate using a compass and a map is an extremely useful skill for an outdoor enthusiast to have. Once you know the ways in which a compass enriches your outdoor experience, the compass will become a part of your essential camping gear. However, a compass is not worth anything if it is unreliable. Unfortunately, unreliable is the perfect word to describe many of the products in the market. Buying a compass that is poorly built or incorrectly calibrated will put you in harm’s way. To keep yourself safe, you need to buy a compass that will never fail you. This buying guide will help you find one. So, let us begin the review with our top pick – the Suunto MC-2G IN. 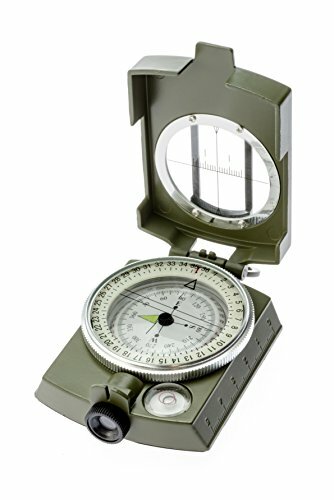 What’s the difference between a sighting compass and a baseplate compass? What is declination? Why is it important? 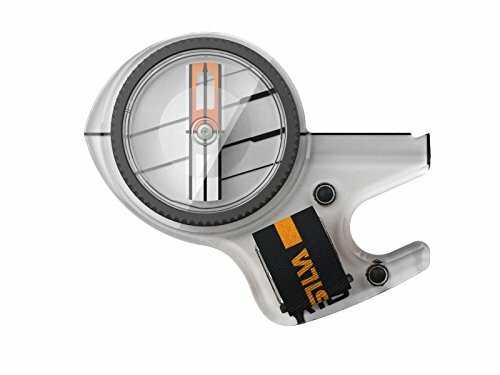 What are additional features I should look for in a compass? What is a global needle? What is its significance? The Suunto MC-2G IN Global Compass is a top-notch sighting compass. Although the Silva Ranger comes close, this Suunto compass takes the top spot because it is easier to use than a Ranger is. You can use the MC-2G IN with one hand, but you will struggle to do that with the Silva Ranger. The MC-2G IN has all the basic features you would expect a good compass to have, and then some more. The Suunto MC-2G IN Global Compass has a sighting mirror, three graduated scales, magnifying lens, straight edge, and adjustable declination. Its easy-grip bezel marks bearings from 0 to 360 degrees in increments of 2 degrees. The bezel has a luminous outer ring that makes it easier to read the bearing in poor visibility conditions. The needle in this compass is a global needle. So, you can use the compass even when it is not totally flat. Plus, you can use the compass effectively in any of the four magnetic zones. If you are a veteran at navigating with maps, you will love the Romer scales on this Suunto’s baseplate. The compass is well built and durable. The only downside is the price. In the world of sighting compasses, the Suunto MC-2G IN is a premium product. Owning one — and knowing how to use it properly — is the hallmark of an experienced outdoor navigator. If you have been using a compass and a map for a couple of years, consider rewarding yourself by upgrading to the MC-2G. Silva Race 360 Jet Compass is the best orienteering compass available on the market that won’t break a bank. The amazing quality of this product makes it a no-brainer for every adventure racer that is serious about getting to another level. 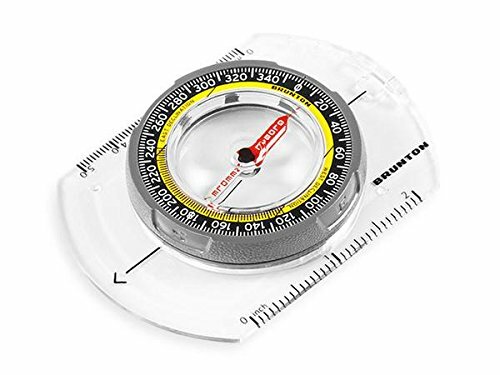 This compass was redesigned in 2018 to improve user’s experience and durability. These improvements didn’t impact one of the most important qualities of this compass – ultrafast settling time. This is a key feature that made this product so popular in the first place. Silva along with Suunto are the top brands in the compass industry and if you are new to navigating with compass, I highly recommend to check out this learn the basics guide. The Silva Ranger 515 Compass follows the Suunto at its heels in terms of features and functionality. If the dials were a little easier to turn, the Ranger would be at the top. But, when it comes to value for money, the Silva Ranger beats the Suunto MC-2G IN hand down. The Silva Ranger has all the features you would need to accurately and reliably chart your course and follow it. The Silva Rangerhas a sighting mirror for identifying a distant landmark to mark your bearing. If you want to convert the distance on your map to actual distance, you can do that using one of the three graduated scales on the baseplate. When you put the compass on top of a map, sometimes, the compass slide. Thanks to the Silva’s silicone feet, the compass will stay where you want it. A map with a lot of markings or small lettering is hard to read. The magnifying lens on the Silva, however, lets you examine the details with ease. The compass also has a clinometer. So, you can easily measure the angle of a slope. Like the Suunto MC-2G IN, the Silva 515 has adjustable declination. You don’t have to worry about the deviation between true North and magnetic North. Lastly, the model has luminous markings for nighttime use. If you are looking to buy a compass with high-end features at an affordable price, the Silva Ranger 515 is your best bet. It combines basic and advance features in one package. However, the major downside to this product is the hard-to-turn dials. Also, this is a hemispheric compass; it does not have a global needle. But, that’s a small price to pay considering all the other great stuff. Are you a camper, hunter, or frequent hiker? Then check out this compass. 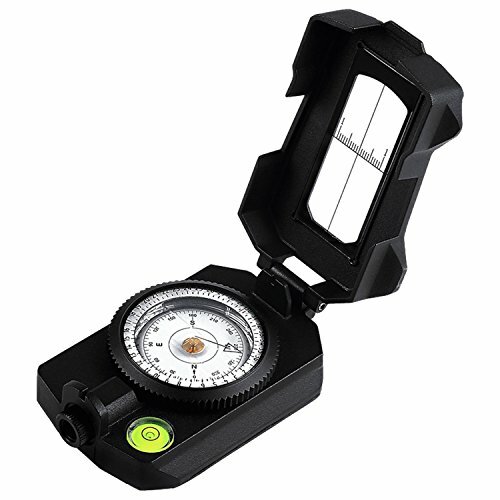 With its aluminum alloy build and built in inclinometer, this compass stands out. Its sturdy build makes it an excellent option for the outdoorsman who needs something dependable and nearly 300 reviewers on Amazon give it 4.4 out of 5 stars. With this sturdy compass, you’ll be able to find your way both indoors and out. The aesthetic, combined with the ability to take bearings, make this compass a quality product. You’ll be pleasantly surprised by the ease of doing readings, magnifier, and floating dial. This well made, magnetic compass doesn’t require any extras. No batteries or constant calibrations needed here. Overall, it’s an excellent navigation aide. If you’re new to the world of navigating using maps and a compass, spending money on a high in compass doesn’t make sense. The smartest thing to do would be to buy a budget friendly compass that you can use to learn the ropes. The Suunto A-10 suits this purpose extremely well. This is a baseplate compass; this means it does not have a sighting mirror. Although this model has only basic features, the features are enough to start learning the art of map reading and outdoor navigation. The compass has a rotating dial with degree dial. The dial has marking from 0 to 360 degrees in increments of 2 degrees. It has two graduated scales, which you can use to convert the distance on the map to actual distance. The features and markings on a compass like the MC-G2 or the Ranger 515 can confuse the hell out of a novice navigator. But, the Suunto A-10 keeps everything simple. When you feel like you’ve got a good grasp over the basics, you can upgrade to a Ranger 515, and the perhaps the Suunto MC-2G. However, many people who started with the A-10 have stuck to it for a long time. Most of them feel they don’t need the extra features that models that are more expensive offer. Recreational hikers are totally content using an A-10. In a nutshell, the Suunto A1-10is the best starting point. If you’ve never navigated using a map and a compass, don’t look any further – get the A-10. Now, if you’re just looking for a basic sightseeing compass, then this compass makes an excellent choice. Its $7 price point makes it an affordable option too. But this low price doesn’t mean it lacks solid features. Quite the opposite, in fact. 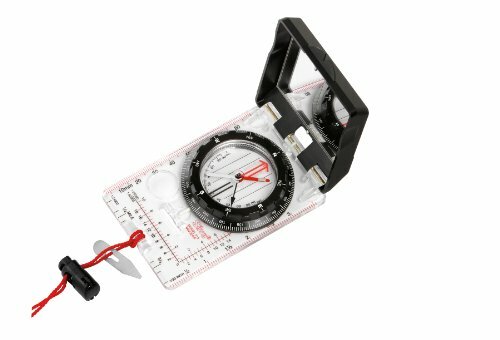 This well made compass is a perfect pick for the man (or woman) on the trail, with features to ease the burden of making frequent stops along the trail to navigate. You won’t have to waste time sighting your path or finding your way with this one. Plus, this compass comes with a pouch that’ll fit easily into your backpack or rucksack, and its build holds its own against more pricey military compasses. It’s also got a built in magnifying glass so you can read fine print with ease. Over 2900 reviews on Amazon rate this compass a 3.7 out of 5 stars. This compass is a solid and comfortable choice. When you’re buying a compass at the cheap end of the price spectrum, you must be careful. Although you are not spending much, you still want your dollars to count. That is why you should go for a Brunton TruArc 3 Baseplate Compass. Brunton has a reputation of making excellent compasses. You can rely on Brunton’s quality even when you are buying one of its low-end products. The Brunton TruArc 3 has a rotating housing with degree markings from 0 to 360 degrees. It has two graduated rulers; one in centimeters and the other in inches. The standout feature of the TruArc is its needle. Even though it costs just above $10, the TruArc 3 has a global needle. So, you can use it anywhere in the world. And it doesn’t have to be totally flat when you use it. What’s more, it has declination compensation. When you consider the price you’re paying for the TruArc 3, it’s a steal. If you are looking for a compass for occasional outdoor treks or hikes, you should go for the TruArc 3. 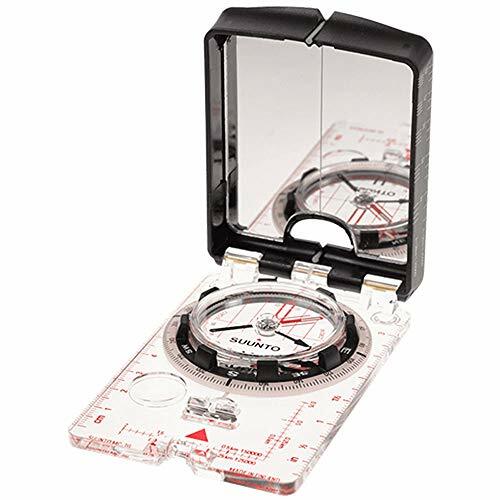 It is one of the best compasses for amateur navigators. It is also an excellent choice for beginners. When you’re learning the basics of navigation using a map and compass, you don’t need premium features, such as sighting mirror, luminous dial, magnifying glass, multiple graduated scales, and clinometer. If you can master the features existing in the Brunton TruArc 3, you will become adept at navigation, at least on the recreational scale. There are thousands of compasses in the market. If you don’t know much about the subject, the elimination and selection process will take a lot of time. But, if you have a comprehensive guide to help you, you can save time, effort, and money. Before you buy a compass, you should understand the limitations and advantages of using a compass. You should also know about the features available on compasses. Without this knowledge, you will spend money on features you don’t want. Or, you will be disappointed with your purchase because it doesn’t have enough features. The answers to the following frequently asked questions will help you avoid pitfalls. A compass requires no power supply; but a GPS unit does. If your GPS unit runs out of battery or breaks down, you will lose your way. Also, some places, such as under thick canopy or inside a cave, have poor signal strength. This makes it difficult for you to use a GPS unit. A compass, however, is free of all these disadvantages. Using a compass has a few downsides. First, using a GPS unit is much easier and faster than using a compass. Second, GPS units come with built-in maps. To use a compass, you will need a separate map for the area. Next, if you don’t know exactly where you are on the map, a compass isn’t of any use. But, a GPS unit can show your exact position on the map. Lastly, using a map and a compass effectively requires experience. In the hands of an inexperienced explorer, a compass and a map will lead to undesirable — and sometimes dangerous — consequences. A baseplate compass is a compass mounted on a flat and transparent surface. A sighting compass is a baseplate compass with a mirror attached to it. The mirror closes down on the baseplate like a clamshell type cell phone. 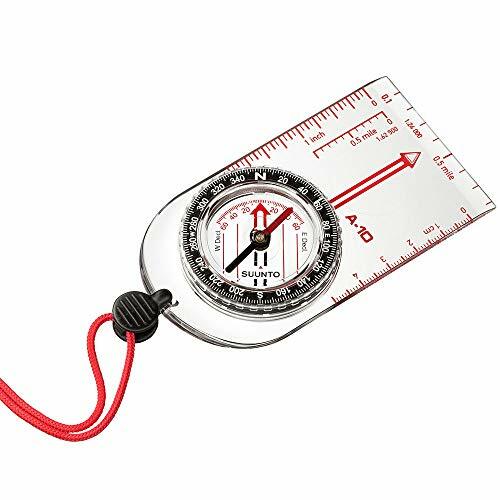 You can use both types of compasses for getting the bearing of your destination from a map. After getting the bearing from the map, navigators use the compass to identify a distant landmark, such as a large tree or a distinct geographical feature, towards which they can walk. This becomes much easier if you have a sighting compass. This is because the mirror on the sighting compass reflects the compass dial and lets you aim the index line of the compass directly towards the landmark. A compass points to the Earth’s magnetic north. Maps, on the contrary, point to the Earth’s true north. Declination is the difference between the true North and the magnetic North. If you are going on long distance hikes, the error resulting from declination becomes significant. So, you will need a compass that allows you to adjust the declination. But, for short hikes in relatively familiar territory, the error from declination causes no severe deviations. Ruler with Graduations: The ruler allows you to measure the distance on a map and convert it to the actual distance. While some models have only one graduated ruler, others may have up to three rulers. Multiple graduated rulers allow you to use your compass with more types of maps. Luminescent Dial: Glow in the dark dials helps you read the compass and poor visibility conditions. Sighting Mirror: The sighting mirror makes it easy for you to aim at distant landmarks that can help you maintain your bearing. Magnifying Glass: The magnifying glass on the compass lets you study the markings on a map closely. Clinometer: The clinometer can help you measure the angle of a slope. Adjustable Declination: Compasses with adjustable declination can help you eliminate the errors resulting from deviation between true North and magnetic North. The world is divided into four compass zones. Broadly speaking, zone one and zone two lie in the northern hemisphere, and zone three and zone four lie in the southern hemisphere. A compass configured for the northern hemisphere will not work properly in the southern hemisphere. This is because the Earth’s magnetic field will tilt the needle and obstruct its movement. But, a compass with the global needle will work effectively on any part of the planet. So, if you’re not an international explorer, you don’t need a global needle. At the same time, if you are trekking on uneven terrain, a global needle works better than a normal one because you can’t use a normal compass unless it is totally flat. The profile of customers looking to buy a compass is diverse. There is no single compass that will satisfy the entire spectrum of customers. While some people wouldn’t mind paying extra for premium features, others would want the best value for money. That is why this article highlights the top product in different categories. If you are on a budget, The Silva Ranger 515 will give you the best value for money. If budget is not a concern, buy the Suunto MC-2G. But, what about people who don’t have a budget? No problem, you can go for the Brunton - TruArc 3 or the SUUNTO A-10 . You’ll have to cut down on pizzas for a month, but who cares… it’s for a fun cause, right? No matter where you are standing right now in terms of budget and experience, there are compasses in the market for you. And the best of those products is on this list. So, think about your next outdoor junket. Go through the list again. What you need is right there.